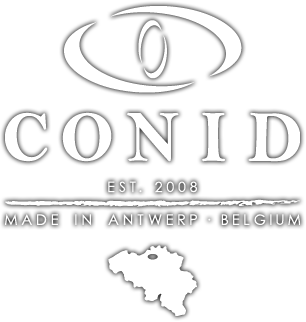 Conid is a small-scale Belgian pen brand. For those of you that never heard of them before: they make fountain pens with a unique filling system: ‘the Bulkfiller‘. The Bulkfiller system is quite an engineering feat, and there’s a lot to say about it. That’s why I decided to make this into a separate post. I’ll focus solely on the filling system in this post. Please find the review of this pen. The Bulkfilling system, as designed by ‘Fountainbel‘ (Francis Goosens), is a hybrid of both piston and vacuum filling mechanisms. Filling the pen requires a few extra steps, but in turn, you get the best possible ink capacity, and that’s really what it’s all about! I had a nice chat with Francis back in October, last year, in which he explained to us that the Bulkfiller is designed simply for those that want the best possible ink capacity. The added bonus is that the double reservoir design makes it leak-proof. It’s ideal for intense use, and for people that want to travel light, not having to bring extra ink to wherever they travel. I can imagine only a select group of fountain pen users will actively benefit from the added ink capacity, but besides that, it’s also just great for everyday use. Let’s take a closer look at how the Bulkfilling mechanism works. As the name suggests, their (patent pending) filling mechanism allows for a large ink capacity. It does so by combining properties of both vacuum and piston mechanisms. The second step is easy: push the piston down, and pull it back up while submerging the nib in ink. This is where the ink is drawn up. And it’s this step that makes the bulkfiller so unique. Instead of filling on the downstroke (like a vacuum filler), the Conid fills while pulling the piston out again, and utilises the entire barrel volume. The final step is basically doing the first step in reverse. So you turn the piston knob clockwise and push the rod back inside. Since the Bulkfiller has two ink reservoirs, separated by the red o-ring on the piston rod, you’ll have to loosen the piston knob before you write, to allow for air exchange and proper ink flow. You can also decide to leave it closed, as the writing reservoir holds enough ink to get you going, but you’ll have to open it up every now and then to refill the writing reservoir. When you want to prevent the pen from leaking, while on a plane, for example, all you have to do is open the seal, and let all the ink flow back to the main reservoir. This way, the pressure inside the barrel remains constant, and you won’t be surprised by inky fingers afterwards. I must say, Francis did a fantastic job of designing this filling mechanism. It’s a surprisingly easy, but capable system. Maxed out, ink capacity ranges from 2.5ml of ink to up to 6ml (depending on the model). To give you an idea, 2.5ml is almost four times a standard international cartridge, or about two times the capacity of a normal piston-filled pen!